Blocked storm water pipes or a blocked drain Melbourne can throw the most ordered of households into complete chaos. By using the latest technology in drain unblocking and cleaning Inner City Plumbing can solve your blockage problems. Blockages in your bathroom basin, bath, kitchen sink and other drains can be caused by fat, hair and other organic materials. The only permanent solution for a Blocked Drain Melbourne is to completely replace old earthenware plumbing pipes with new PVC plastic plumbing pipes. Inner City Plumbing have many options to keep your pipes and sewer lines clear and free flowing that may prove a more cost effective option. Clogged Drains and Drainage Problems in Melbourne? The specialists at Inner City Plumbing are the team to call for your blocked drain Melbourne. Whether it is an emergency drain blockage or just general maintenance, Inner City Plumbing is here to help. If you do have a blocked drain Melbourne then Inner City Plumbing, your blocked drain Brunswick experts will be able to solve the problem. We get at the root of the problem to effectively unblock your drain or sewer. We’ll have you up and running in no time. A blocked drain Melbourne can be one of the most inconvenient and frustrating plumbing problems for the a home or business. It could be a slow draining sewer that makes it difficult to get rid of waste. Alternatively, it could be a complete sewer blockage. You may have sewer problems and not even realize it until the damage becomes evident. If you have a broken drain at some point between your home and the street, then it’s important to call in a professional. In most cases, you are responsible for any sewer pipe damage on your property between the street and your home. If this happens to you, then you need to be prepared. We are specialists in blocked drains and sewers in Melbourne. The team at Inner City Plumbing are professional and reliable which is peace of mind for you and your family. 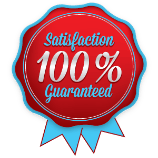 We have over 20 years of drain repair and replacement experience. 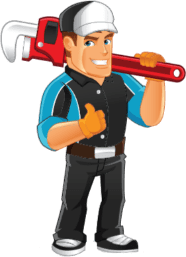 Our blocked drain Melbourne plumbers can diagnose a problem quickly and suggest the best course of action. Time is important when it comes to sewer and drain repairs. We are available 24/7 so it does not matter if it is the middle of the night, the weekend or Christmas Day; if you need help immediately we can be there within the hour. Our blocked drain Melbourne plumbers are on call 24 hours a day, 7 days a week. We know the urgency of a blocked or broken drain, and we don’t waste time. 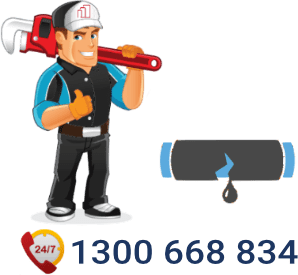 So for all your blocked drain and sewer problems in Melbourne, simply call us on: 1300 668 834 or click here to complete the contact form and we will contact you fast. The most common cause of drain backup is a blockage in a intersecting service pipe between the home and the main which leads to the street. In the case of home and office plumbing, generally, the main cause of a blockage is the accumulation grease, hair, dirt, or other materials. For example: disposable napkins, broken dish ware, garbage, nappies, and other types of debris that should not be put in the drain. A blocked drain Melbourne plumber can fix these issues! A problem like this is usually a local problem inside the household. Frequently, it is the water from the home that is backing up. The amount of backup will depend on the amount of water that is being used. When the water is turned off it will drain very slowly. The problem is likely to resurface as soon as the water is turned on again. When your drain starts to back up, the chances are very good that there is a blockage somewhere. Over the years, people flush materials such as soap, hair and household chemicals down the drain. These materials often build up at any point along the line and cause a back up or blockage. A sewer is just as likely to clogging as a drain. The accumulation of materials that are flushed down a sewer line will gather along the sewer walls and eventually lead to a clogged sewer. A Inner City Plumbing professional will be able to fix these issues! Call 1300 668 834 for immediate service. A sewer or drain line can be damaged for numerous reasons. You could have been digging on your property and accidentally hit the sewer drain which has caused it to rupture quickly. The sewer could be old and crack from the pressure of the materials travelling through it. In other cases, the damage just happens and a blocked drain Melbourne plumber can fix this for you . The roots from large trees spend years weakening your sewer lines. If plant roots manage to wrap themselves around your line, then the roots will eventually work their way into sewer pipes. A blocked drain Melbourne plumber can work to repair damaged blocked lines. Blocked Drain Melbourne	Overall rating:	4.6	out of 5 based on 117	reviews.